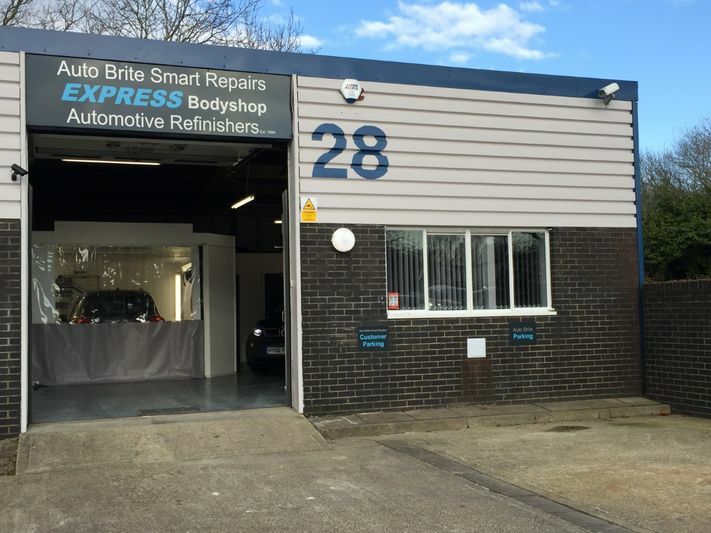 Car Body Repairs in Hampshire -Auto Brite SMART Repairs- EXPRESS Bodyshop. Each vehicle is repaired from start to finish, using the best available materials and equipment, in a clean, controlled environment, to return your car to its' original condition, in the most cost effective way possible. We offer the convenience of a Smart repair, but with the reliability and quality you would expect from a bodyshop. Bumper and trim repairs/scuffs, splits and dents. Light to Medium body repairs/dents and scratches. Paintwork correction/Machine polishing, scratch removal. Paint sealant protection for new cars. Motorbike paint repairs for fairings, panniers and tanks. Pre-lease return inspection and estimating. Express Car Body Repairs in Segensworth, Fareham, Hampshire.